DEMO DAY IS JUNE 16TH!!! 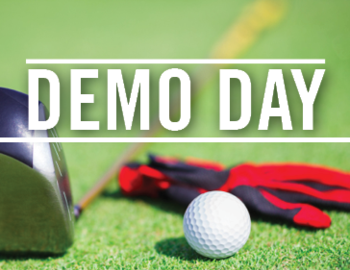 Join us on Thursday June 16th for our Callaway Demo Day. From 9:00 am - 1:00 pm meet with the Calloway Rep & get the right fit for you! Also, book your Tee Time in advance as it's our Famous Thrilling Thursday. Where else can you get a day of Good Golf and Lunch all for $40.00. See you then!! !